I love fairy tales, I have done ever since I was a little person. Memories of sitting cross-legged, faced cupped in hands listening and willing Hansel and Gretel not to trust the very old lady who lived in the gingerbread house always gives me the warm and fuzzies. Some years later, to my absolute delight came Shrek, and i was in fairy tale heaven (or the Land of Far Far Away to be exect). All the big names were there; the narcoleptic Sleeping Beauty, OCD sufferer Cinderella, mamma’s boy Prince Charming, the mysterious Pied Piper and cunning Rumpelstiltskin. I’m eagerly awaiting the arrival of “Puss in Boots” (In UK cinemas 9th December by the way) and more so after finding out Zach Galifianakis will be the voice of Humpty Alexander Dumpty, amaze-balls!! 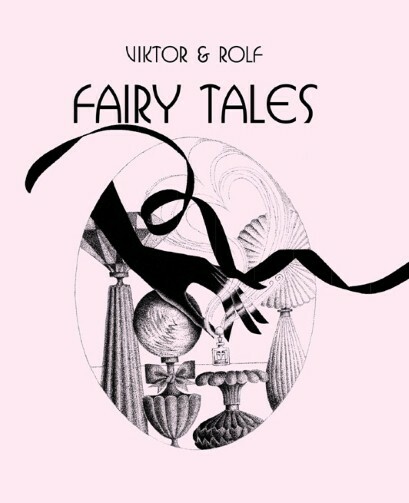 A few days ago a heard about a new collection of fairy tales coming out by….wait for it… Viktor & Rolf! My levels of excitement spiked to that of a kitten discovering a ball of yarn for the first time. The dutch duo is well-known for letting their imaginations in the production and execution of their concept-driven shows which are always a pleasure to watch. The collection of 12 stories (also illustrated by the duo) will include characters such as the ungrateful princess Giselle and the lonely disco hedgehog.